Ironically, time means less and less as we grow older. Huge changes occur in one’s youthful years and the 20-year-old version of the self is radically different from the 16 or even 18-year-old version, but the same is not true decades later. It’s easy to forget how drastic the transformation is that takes place in one’s second and third decades, but it’s important to keep this mind in regards to high-profile athletes, whom we tend to judge harshly. After all, elite level athletes are necessarily quite young; once they reach just 30 years of age, they are closer to the end than the beginning. But I, for one, wouldn’t necessarily trust my 30-year-old self, let alone my 20-year-old brain, to make the most mature and level-headed decisions in every circumstance, or to exercise the restraint and focus necessary to overcome serious challenges. Intense focus and extreme discipline are the foundation stones for an athletic career of distinction, but how many of us are capable of such things when we’re only 20? These days it’s just as likely for someone in their 20’s to suffer from “Peter Pan syndrome” and be completely disinterested in growing up. But serious athletes have no choice. 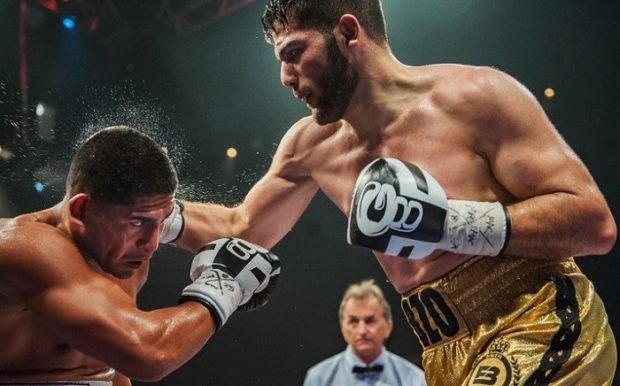 Erik Bazinyan was in fact just 18 when he made the move from the amateur ranks to the pros in 2013 and the recognition of his exceptional talent naturally led to high expectations for a boxer viewed by many as a world champion in the making. 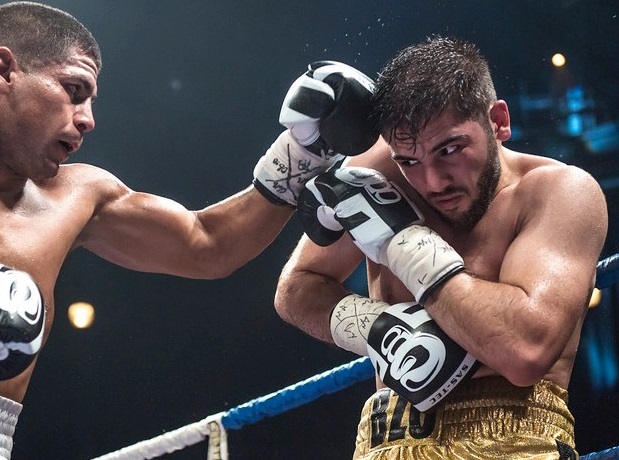 In the four years since, nothing has taken place inside the ring to dampen those expectations; he is undefeated in 16 bouts, holder of the WBO Youth Super Middleweight title, author of some of the more technically impressive ring performances to be seen in The Fight City in recent years. 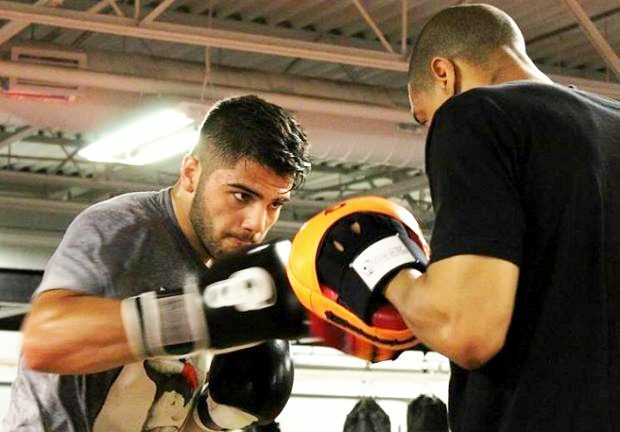 But at the same time there were whispers behind the scenes calling into question the discipline and mental toughness of the young Armenian-Canadian. In June of 2015 one of Erik’s matches had to be scrapped at the last minute after he failed to make weight. It was an embarrassing and disappointing outcome, but the troubles didn’t stop there. The following year he suffered a minor training injury which necessitated a second canceled bout and meanwhile the word on the street was that his weight was ballooning between fights, that he couldn’t resist gorging on his mother’s home cooking, that maybe he had caught the North American “Peter Pan” virus and lacked the character to grow up and become the boxer everyone believed he could be. Bazinyan training with Howard Grant. But now, as Bazinyan prepares to step into the ring this coming Saturday night, all the whispers have faded away. Big changes can happen between one’s 20th birthday and one’s 22nd. And it appears they have. The “mistakes” Erik refers to were primarily in regards to conditioning. And indeed, prior to his most recent bout, a dominant stoppage win over tough Rolando Paredes this past June, the question of weight and whether or not Erik could successfully drop it in the weeks leading up to a fight was always a critical concern. In fact, given his struggles, some wondered if a move up to 175 might not make sense. 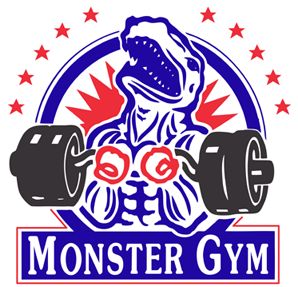 But at the weigh-in on June 9, Erik, looking more lean and ripped than ever before, raised eyebrows when he came in two pounds under the 168 limit. And just like that all the worries about Bazinyan sticking to his diet and making weight have disappeared. Erik’s performance in the ring the following night helped further quell the talk of the doubters. Paredes was a relatively safe opponent, but at the same time no pushover as he boasted ten knockouts in 13 victories, his most recent outing a win for the Mexican light heavyweight title over 17-1 prospect Mario Aguilar. At the weigh-in Paredes appeared even more muscular and primed for action than Bazinyan and some wondered if we might, for the first time, have a chance to see how Erik handled some genuine adversity. Last April, Bazinyan stopped Alis Sijaric in the fourth. But the boxer with the skills and moxy to give Bazinyan serious trouble is yet to be encountered. Erik once again demonstrated his impressive talent and ringsmarts as he turned away Paredes’ offensive efforts with ease, landed powerful shots with either hand, and pounded his opponent to the canvas in round four, prompting the Mexican’s corner to signal surrender. If Bazinyan beating decisively both the scale and Paredes signals a positive shift for the undefeated prospect, the obvious question is: what accounts for this newfound focus and maturity? 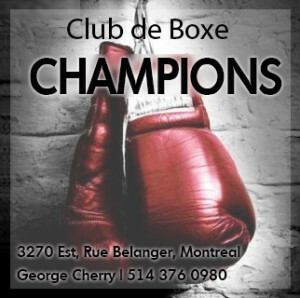 Is it the influence of hard-working stablemates like Francis Lafreniere and Golden Garcia, boxers who are always in top condition and never miss a beat in terms of putting in the hard work at the gym? Is it perhaps the result of some serious talks with trainer Howard Grant? Or is it maybe due to his knowing how the people of Armenia are looking to him to succeed and make them proud? Perhaps all of the above? No, says Erik. Wise and mature words for a young man of 22. But maybe there’s another factor. In July, Bazinyan traveled back to Eurasia to marry his high school sweetheart, the wedding attended by hundreds of his fellow Armenians and family friends. Erik wouldn’t be the first young man to gain a newfound sense of purpose and direction from exchanging vows and making this most profound of commitments. Showing off photos from the wedding with pride, Erik’s comments indicate this is the case. “People in Canada like to get married at an older age. I’m 22 but I’m more mature than some people who are 30 or 35. I have goals and I’m serious about achieving success. I’m working hard, training every day. I made some mistakes, but I turned pro when I was only 18 so you can’t judge me if you’re not prepared to judge yourself when you were that age. And I’m glad those mistakes happened because I learned from them. More than ever, I’m focused and determined to become champion. Bazinyan prides himself on his ring I.Q. and ability to adapt. Youth, the old saying goes, is wasted on the young. Wisdom only comes with age. Hard truths no one can argue, but people recognized Erik’s astonishing natural talent when he was only a teenager. His family left Armenia and came to Canada in part to give him a better chance to maximize those talents. And now the foundation is all in place: solid management; experienced trainers; a loving wife; 16-0 with 11 knockouts; a growing reputation in the boxing world. Now it gets serious. 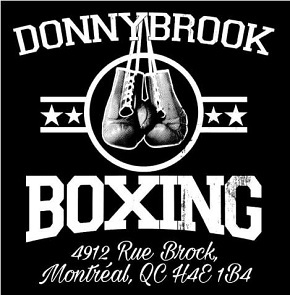 And this Saturday night is the time for Montreal boxing fans to buy their tickets and see a world-class talent on the verge of stardom show off his skill. After all, chances are it won’t be for much longer that Erik Bazinyan performs exclusively in Montreal. And while he has recently made some wise and positive changes in his life, the biggest changes — and challenges — are still on their way: more attention, bigger fights, tougher opponents, greater pressure. As the stakes get higher, often the supreme challenge for an elite-level athlete is to maintain the mental edge, to stay calm and focused in order to perform at one’s best. And interestingly, when Erik is asked what his greatest strength is as a fighter, he doesn’t mention power, or speed, or toughness, or his ability to switch stances and inflict punishment with either hand.